The House Energy & Natural Resources Committee late this afternoon unanimously passed SB1171, dealing with statutory language clean-up following the consolidation of ADMMR and AZGS last summer, and SB1299, the sunset reauthorization of AZGS for 10 years. Now, the measures go to the full House for consideration. The bills previously passed the Arizona Senate without discussion. 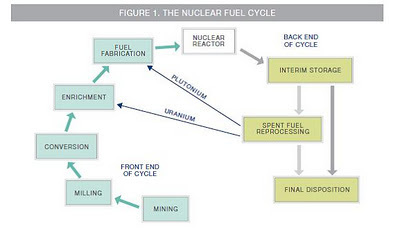 The National Mining Association and the Nuclear Energy Institute filed suit against the U.S. Interior Dept. 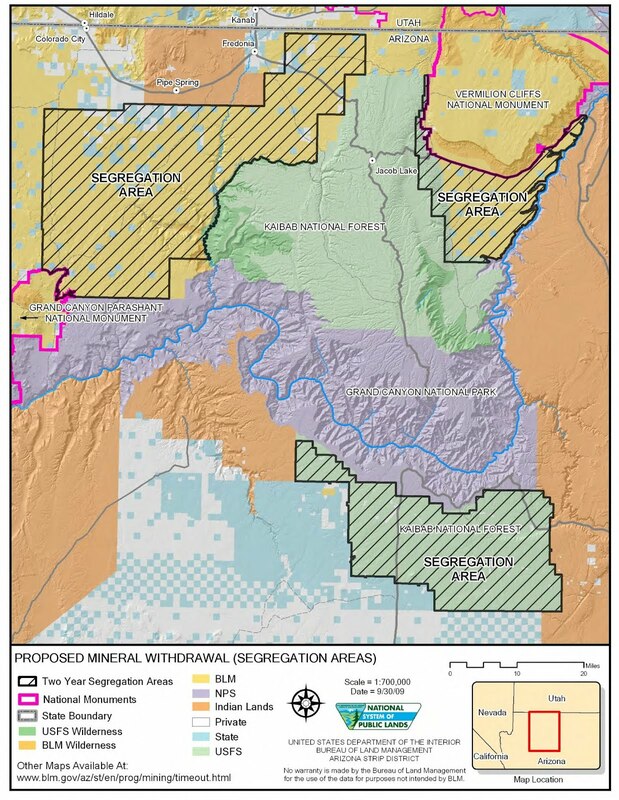 today, to overturn the 20 year ban on mineral exploration and mining on roughly 1 million acres of federal land in northern Arizona [right, hatched areas. Credit, BLM]. The case is National Mining Association v. Salazar, U.S. District Court, District of Arizona. Gregory Yount, who heads up an Arizona mining company with claims in the area, filed suit earlier this month. Arizona congressmen from the region tried to attach a rider to a federal transportation bill a couple of weeks ago, to remove the ban, but it failed on procedural grounds. There is no doubt a symbolic message being sent to tourists around the world when the Obama administration imposes a 20-year moratorium on uranium mining in a million-acre buffer zone around Grand Canyon National Park. It reinforces the image of the Canyon as so special a place that this nation will take special measures to isolate it from industrial encroachment. But for those of us living and working in the Grand Canyon region, the message is a little more murky. We know that mining will continue, that the risks are less clear-cut than the ban suggests, that regulations and enforcement needed to address those risks that are present are less than adequate, and that the underlying law is now a century and a half out of date. In other words, it's a lot more complicated than the partisans on either side of this week's pronouncement would have you believe. And "Depleted Cranium: the Bad Science Blog" takes on the misperception among many that the Grand Canyon itself was in danger of being mined. Mission complex: Five open-pit mines in Pima County. Produced $183.9 million pounds of copper concentrates in 2010 and spent $118.4 million that year, including $35.4 million in royalties to the state and $23.4 million to the Tohono O'odham Nation. Employs about 600 people. 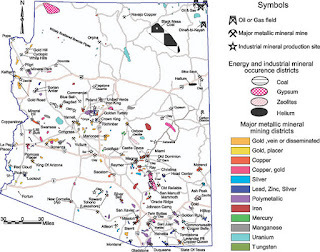 Silver Bell: Four open-pit mines in Pima County. 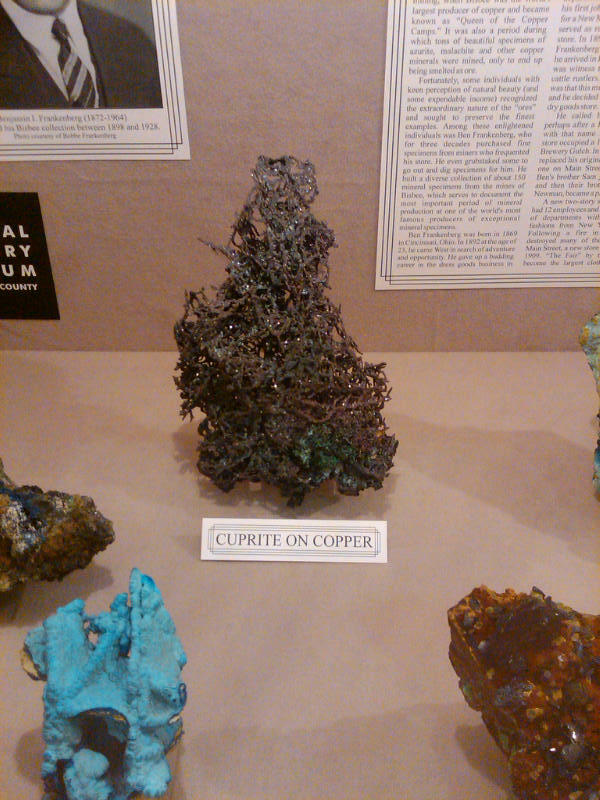 Produced 46.3 million pounds of copper cathode in 2010 and spent $25 million that year. Employs about 155 people. In addition, the Arizona Daily Star reports that Asarco plans a $60 million expansion of the concentrator at its Mission Mine south of Tucson, to increase production from 66,000 tons to 77,500 tons. This project will conduct a feasibility study to explore potential renewable energy development on the 22,000-acre Paragon-Bisti lands in northwestern New Mexico. The study will examine the viability of developing up to 4,000 MW of solar power and the potential to deploy other forms of renewable energy at the site. This project will conduct a comprehensive feasibility study to develop a solar energy generation facility on tribal trust lands within the Tribe’s reservation. This project will assess the viability of 1 MW of commercial and community-scale solar development on Tortuga Ranch. It will also examine the potential to install solar photovoltaic and hot water systems on tribal buildings to supply a minimum of 30 percent of the facilities’ energy needs. The Arizona House Committtee on Energy and Natural Resources will hold a hearing on the AZGS reauthorization (SB1299) and statutory updates (SB1171), at 2PM on Monday, February 27, in House Hearing Room 4 at the State Capitol. The bills passed the State Senate without debate. AZGS is "sunsetted" (ie, scheduled to be terminated) on June 30, 2012, unless the Legislature reauthorizes the agency. The Sunset Review Committee last fall unanimously voted to extend the life of AZGS for 10 years, the maximum allowed. 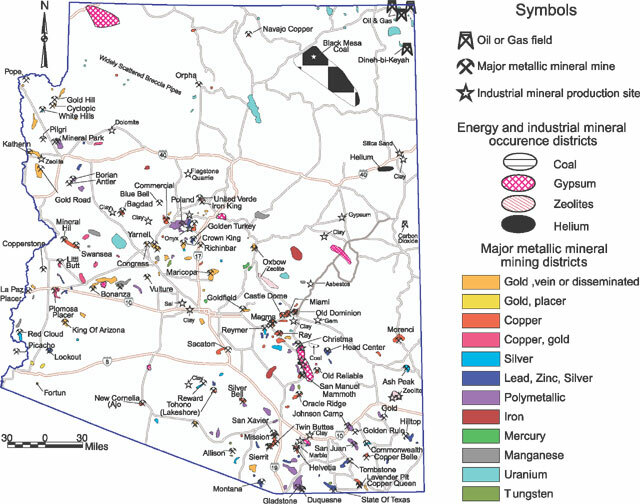 Arizona is ranked 29th out of 93 mining regions in the world in combined policy and mineral potential, down from 25th out of 72 jurisdictions ranked last year in the Fraser Institute Annual Survey of Mining Companies 2011/2012. Wyoming and Nevada are the only two U.S. states in the top ten. Utah dropped out of the top ten and is now three notches below Arizona. Since 1997, the Fraser Institute has conducted an annual survey of metal mining and explora tion companies to assess how mineral endowments and public policy factors such as taxation and regulation affect exploration investment. Survey results represent the opinions of executives and exploration managers in mining and mining consulting companies operating around the world. 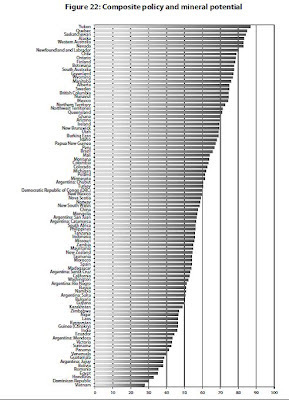 The survey now includes data on 93 jurisdictions around the world, on every continent except Antarctica, including subnational jurisdictions in Canada, Australia, the United States, and Argentina. 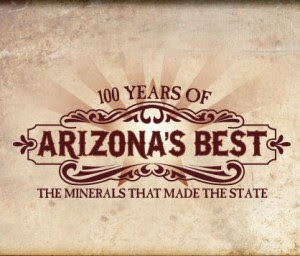 Arizona is the top-ranked U.S. state in Geological database (includes quality and scale of maps, ease of access to information, etc.) but 17th worldwide. There are numerous other topics covered in this 131-page report. 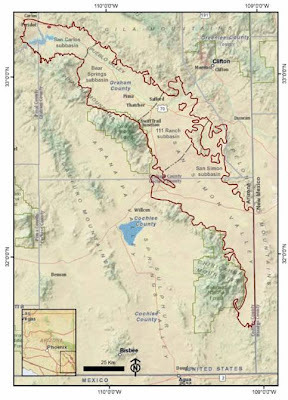 Salt River Project (SRP) reports that "Arizona stands to lose approximately $18 billion in gross state product between 2017 and 2044 - including up to 3,400 jobs each year - unless agreements can be reached to keep the Navajo Generating Station [right, credit SRP] in northern Arizona operating beyond 2019, according to a study prepared for SRP and the Navajo Nation by the L. William Seidman Research Institute at the W.P. Carey School of Business at Arizona State University." SRP also said the plant's lease and various rights of way with the Navajo Nation are set to expire around 2019 and the NGS owners are currently negotiating extensions. SRP warned that the EPA "is considering additional technology that could cost more than $1.1 billion and would be difficult for the owners of NGS to commit to without certainty that the plant will operate beyond the year 2019." A similar situation led to the closure of the NV Mojave Generating Station power plant in Laughlin, NV a few years ago. 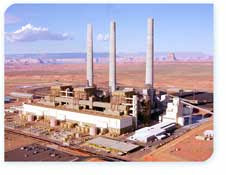 The ASU report, Navajo Generating Station and Kayenta Mine: An Economic Impact Study, concluded that "the closure of NGS - combined with the potential impact on nearby Kayenta Mine, the plant's coal supplier - could result in an annual loss of nearly 3,400 jobs and more than $602 million in adjusted state tax revenues for a period measured from 2017 to 2044." The Sierra Club and other groups have filed a legal appeal challenging the Peabody Coal mining permit. It was revealed recently by Time magazine that the Sierra Club took more than $25 million from the natural gas industry to help fund a national "war on coal" that would create a larger market share for natural gas in power generation if coal plants were shut down. The Safford basin is filled with unconsolidated sediments and is roughly 155 miles long, 12 to 16 miles wide, has an average depth of 6,500 to 9,800 ft., and a maximum depth of 11,500 ft.
Basin-fill sediments are subdivided into the upper basin-fill (the top 2600 feet) and the lower basin-fill (from 2600 feet to the basin floor). The latter, comprising permeable gravel, sand, silt, and impermeable clay, gypsum and limestone, is the primary target zone for CO2 sequestration. 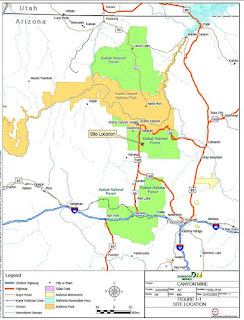 Suitability of the Safford Basin for CO2 sequestration remains unclear. According to Gootee, additional studies, including seismic-reflection profiling and deep drilling, will be necessary to adequately evaluate the basin for CO2 sequestration. The report was carried out as part of a regional study under the auspices of WestCarb. Arizona is a member of the West Coast Regional Carbon Sequestration Partnership (WestCarb), a consortium of seven western U.S. States and one Canadian Province. WestCarb is co-funded by the U.S. Department of Energy. Citation: Gootee, B., 2012, Geologic Evaluation of the Safford Basin for Carbon Dioxide Sequestration Potential, Arizona Geological Survey OFR-12-01. Curis Resources announced that they received its renewed Air Quality Permit for the commercial operations at Florence Copper from the Pinal County Air Quality Control District (PCAQCD) on February 14, 2012. The company news release says "This permit provides Curis with clear guidelines to inform its design and ultimate operations of a commercial scale solvent extraction/electrowinning (SX/EW) plant at the Florence Copper site. It is valid for five years and is renewable again in 2017." Curis has been locked in a high profile battle with real estate developers who raised concerns over the potential impacts on groundwater. In a recent presentation, Curis officials provided the figure at right on that issue. In related news, the Holbrook Business Development Group (HBDG) is hosting a "community forum on potash mining ... at 6 p.m. on Wednesday, Feb. 29, at the George Gardner Performing Arts Center. The presidents of American West Potash and Passport Potash will make presentations about their respective projects and participate in a question and answer session with the audience during the event, which is open to the public and free of charge." I've been invited to attend and participate in the Q&A session. I'm looking forward to hearing both the company's updates and the community's questions. 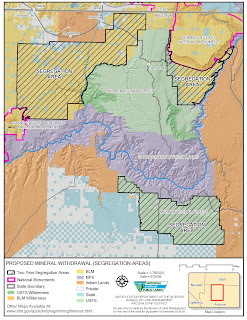 Meanwhile, Little Colorado River Plateau RC & D officials are building a website to address potential impacts of potash mining, at holbrookbasin.org, holbrookbasin.com or holbrookbasin.net. Kathy Hemenway demonstrated a preliminary version of the site at the recent Winter Watershed Conference in Show Low. Last week, Gov. 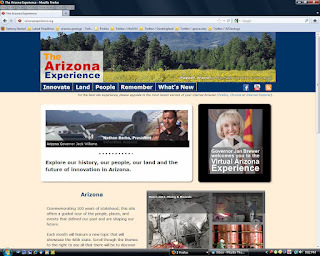 Brewer announced the launch of the Virtual Arizona Experience multi-media website, designed and built by AZGS. If you missed the Centennial event in Phoenix, we posted the governor's remarks on the websites YouTube channel. Our web team is working away on the rollout of the site's March theme of Mines and Mineral Resources. We're pretty excited about it. BHP Billiton Base Metals North America Asset President, Wayne Isaacs, said: “We will be hiring more than six hundred new team members and look forward to working with local communities to safely restart the mine.” The company spent $195 million on the restart. BHP announced the mine shut down in January 2009, due to the global economic downturn. 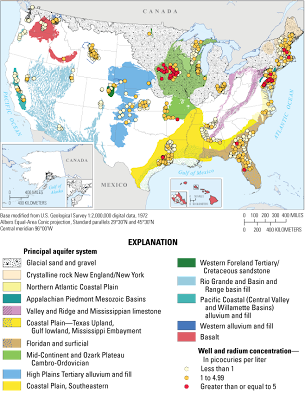 A report by the USGS on radium concentration in drinking water aquifers nationwide shows that the water wells tested in Arizona are all below 1 picocurie per liter. However, only a handful of wells in Arizona were tested, all in alluvial aquifers in the south. No tests are reported from the Colorado Plateau, which has some of the highest concentrations and largest deposits of uranium in the nation. EPA notes that "Radium is a naturally occurring silvery-white radioactive metal formed when uranium decays in the environment." The USGS report states "Radium is a naturally occurring radioactive element and known carcinogen that usually is present at low levels in rocks, soils, and groundwater. Its presence in groundwater is largely the result of minerals dissolving from weathered rocks and soils. The US Environmental Protection Agency (USEPA) has established maximum contaminant level (MCL) for combined Ra-226 plus Ra-228 of 5 picocuries per liter (pCi/L) for public water supplies." 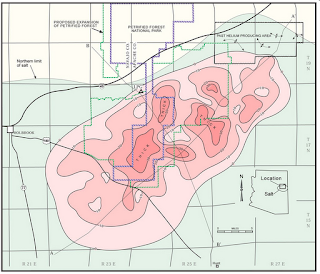 Ref: Szabo, Zoltan, Fischer, J.M., and Hancock, T.C., 2012, Principal aquifers can contribute radium to sources of drinking water under certain geochemical conditions: U.S. Geological Survey Fact Sheet 2010-3113, 6 p.
The merged company is projected to become the owner of the world's 4th largest copper resource, behind Codelco, and Arizona-based Southern Copper and Freeport McMoRan. Based on 2010 production, KGHM would be the 8th largest in the world. Bloomberg.com calls the deal "the biggest bid abroad designed to deepen the Polish copper producer’s global reach." Quadra had announced plans last November to shut down the Carlota mine due to higher costs than expected, and lower ore quality. I don't see anything in KGHM's presentation that they would shut the mine down. So, the Polish buy-out might result in saving Arizona jobs and copper production. 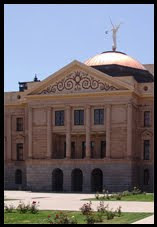 The Arizona Legislature introduced a package of 10 budget bills on Monday afternoon, the President's Day holiday, with hearings set in both Senate and Appropriations committees at 8AM today. News reports summarize the major differences between these and the Governor's budget plan that was released in January. The AZGS budget appears to be the same in both sets of proposals. AZGS geologists Jon Spencer and Phil Pearthree spent the weekend near Cibola, Arizona, with colleagues to consider the origin of the Pliocene Bouse Fm, and the implications for the origin of the Grand Canyon. Jon's article on the inception of the canyon is currently featured on the AZGS home page. Kyle House, with the USGS in Flagstaff, posted some impressive photos from the field at his Geologic Froth blog. The intense but collegial debate led to presentation to Jon [right, center, with Kyle on the left and Phil to the right. Photo credit Kyle House] and colleagues of an award for "Creative Writing." 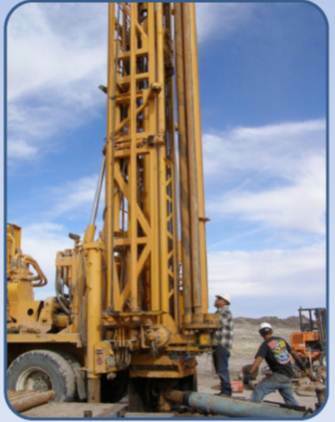 Denison Mines expects to begin production of uranium from its Pinenut mine in northern Arizona in 2012, and begin sinking a shaft 1,400 feet to the Canyon mine deposit in the 4th quarter of 2012, according to a company investment presentation. 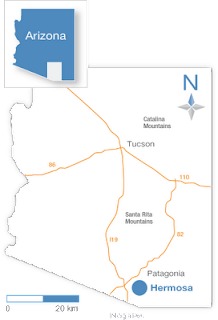 The Pinenut mine is just east of the company's operating Arizona #1 mine. 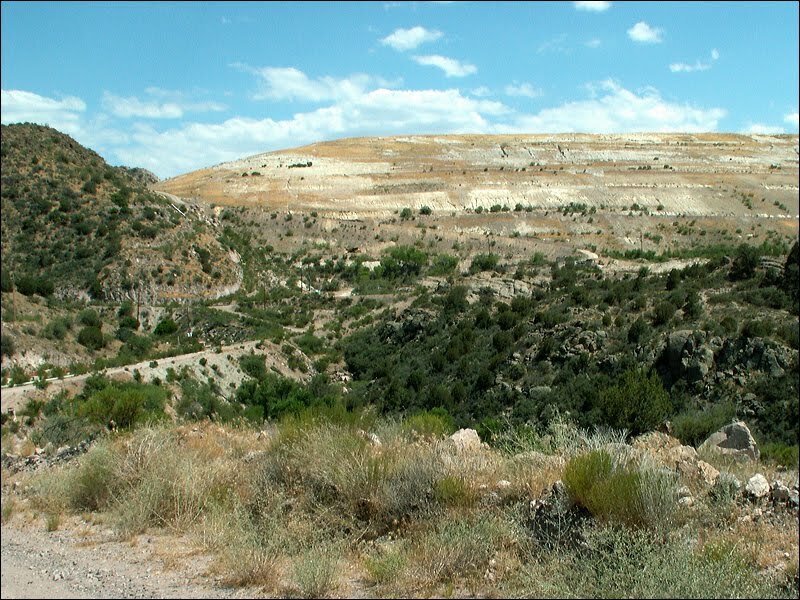 The Canyon mine will be about 6 miles southeast of the town of Tusayan [right, credit Denison Mines]. An article in the Arizona (Flagstaff) Daily Sun yesterday, summarized key aspects of the mine, noting it will involve a vertical shaft 900 to 1,400 feet deep, to produce about 200 tons of ore a day, to go a mill in Blanding, Utah. The mine life is estimated at 5 years. Surface disturbance would affect about 17 acres. The Arizona Dept. 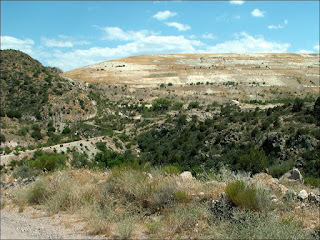 of Environmental Quality fact sheet notes that in August 1986, "the U.S. Forest Service published a final Environmental Impact Statement with a Finding of No Significant Impact for the proposed mining activities at the Canyon Mine site." 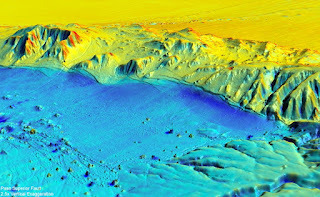 Surface ruptures from the 2010 El Mayor-Cucapah magnitude 7.2 earthquake in Baja California are shown in phenomenal detail using high resolution LIDAR. ASU's Ramon Arrowsmith is co-author on the study published last week in the journal Science. If you saw my post earlier this week about the animated timeline of Arizona earthquakes from 1852-2011, you saw it running in Layerscape, free 3D visualization software released today by Microsoft Research. 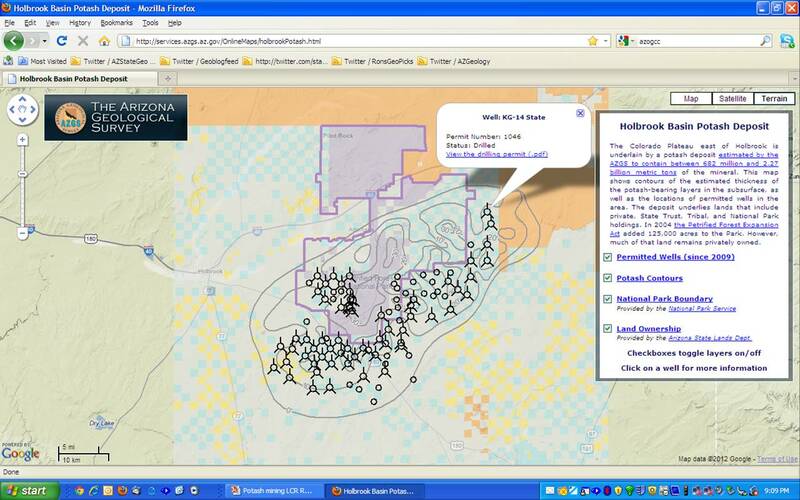 We are also using it extensively in the Virtual Arizona Experience website that Gov. Brewer launched with us as part of the Centennial celebrations on Tuesday. We've been collaborating with Microsoft Research for the past three years, initially on the US Geoscience Information Network (USGIN) and the State Geothermal Data projects. Microsoft made a big splash with their launch today, including a video showcasing three scientific organizations - including AZGS - that are using Layerscape. Watch below. The virtual Arizona Experience website went live today at noon, launched by Gov. Jan Brewer at a special Centennial event in Phoenix. The website is full of interactive, multimedia content from nearly 300 content providers so far. It is intended to serve as a 4-dimensional portal to discover, explorer, and ultimately, experience Arizona, in ways never tried before. AZGS has the lead role in creating the Virtual Arizona Experience, starting only three months ago. We went live this morning with two themes - Land and Celebration. Each month for the next year, we will roll out another major theme, with March's being Mines and Mineral Resources. The site is supported by Freeport McMoRan Copper & Gold Foundation as a presenting sponsor with additional funding from the Helios Education Foundation. Microsoft Research and ESRI are providing in-kind resources and technical support. There's lots more to tell about the site and the AZGS team that built it in record time, but it's been a long day, and that will have to wait for other posts. President Obama's FY13 budget proposal calls for 5% gross royalty on hardrock minerals, a new fee to clean up abandoned mines, and changing from mining claims to leases on federal lands. The first component of this proposal addresses abandoned hardrock mines across the country through a new AML fee on hardrock production. The Administration proposes to hold the hardrock mining industry responsible for abandoned hardrock mines, just as the coal industry is held responsible for abandoned coal sites. The proposal will levy an AML fee on the production of hardrock minerals on both public and private lands and will be charged on the volume of material displaced after January 1, 2012. The legislative proposal would also institute a leasing process under the Mineral Leasing Act of 1920 for certain minerals (gold, silver, lead, zinc, copper, uranium, and molybdenum) currently covered by the General Mining Law of 1872. After enactment, mining for these metals on Federal lands would be governed by the new leasing process and would be subject to annual rental payments and a royalty of not less than five percent of gross proceeds. Half of the receipts would be distributed to the States in which the leases are located and the remaining half would be deposited in the Treasury. Existing mining claims would be exempt from the change to a leasing system, but would be subject to increases in the annual maintenance fees under the General Mining Law of 1872. However, holders of existing mining claims for these minerals could voluntarily convert their claims to leases. Note that the AML fee would be on the volume of material displaced, including overburden, waste rock, and tailings, not just on the volume of minerals produced. We showed this video yesterday at the AIPG-Arizona Section annual meeting held in the AZGS offices in Tucson, and it got a lot of favorable comments. So, I want to share it with you. Jordan Matti compiled it using the new Microsoft Layerscape software (we've been working with Microsoft Research for the past 3 years on visualization of scientific data). We used an Excel spreadsheet of historical seismic data compiled by Phil Pearthree, Jeri Young, and Lisa Linville. The older quakes are culled from historical records, and thus are limited to only those large enough to be felt or caused damage. In the past few decades, locations are from seismometers in the region. 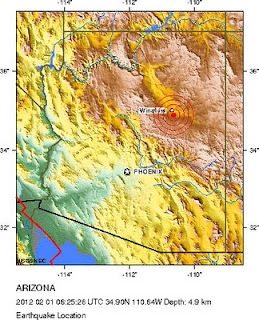 And in the past few years, we now have statewide coverage that ensures we are detecting all earthquakes in Arizona larger than magnitude 3 and probably most of the ones larger than 2.5. Thus, in the video, you will see a dramatic increase in activity at the end of the timeline - it's a result of recording the smaller events that we were missing before. The video is also posted at the AZGS and the Virtual Arizona Experience YouTube channels. The Centennial Best Fest drew 60,000 attendees in Phoenix yesterday. 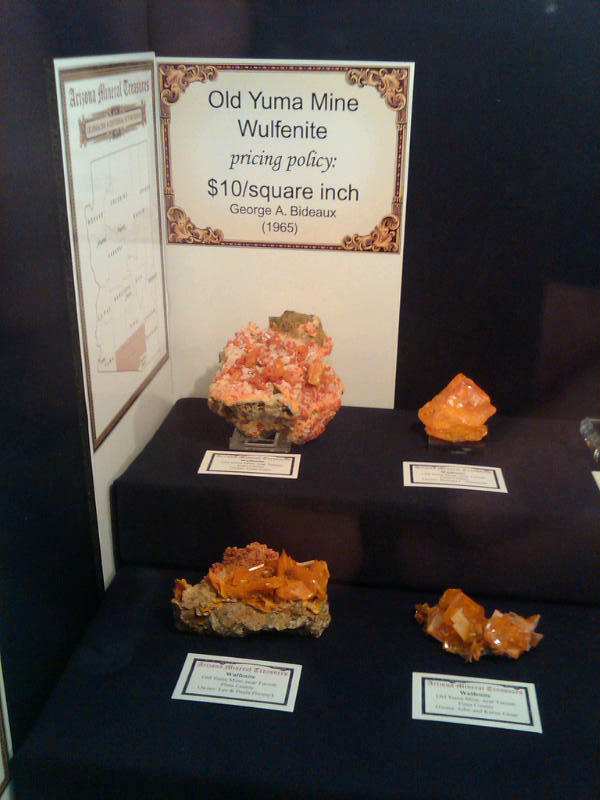 Nyal Niemuth, who heads our Phoenix branch forwarded these photos from the Natural Resources pavilion. The Tucson Gem & Mineral Show is showcasing Arizona minerals in celebration of the state's centennial. 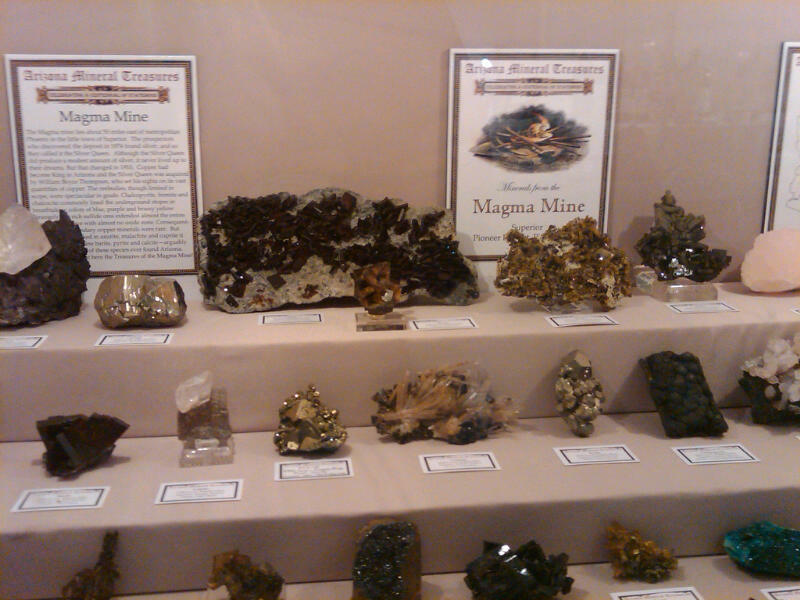 There are 50 cases of Arizona minerals on display in the convention center, with cases dedicated to the best minerals from famous mines as well as cases of the best examples of minerals from a variety of mines and locales in Arizona. It's overwhelming. 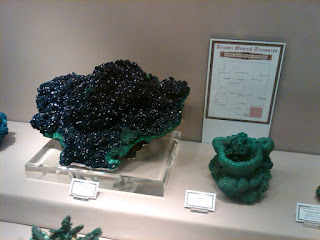 Many specimens are from museums all over the country; many specimens are from private collections. Many specimens have not been exhibited publicly for over a century and may not be seen again for a long time. The collecting community is in heaven these four days. Indicated resource of 101.4 million tonnes of 53.18 g/t silver for 171.3 million ounces of silver. Inferred resource of 83.6 million tonnes of 36.42 g/t silver for 98.6 million ounces of silver. The Florence Blade newspaper reports on the continuing fight by real estate interests to prevent Curis Resources from producing copper through an in situ leaching process under lands inside the city limits, and offers a summary of the arguments. The proposed mine, east of Superior, would mine copper from depths of 7,000 ft. 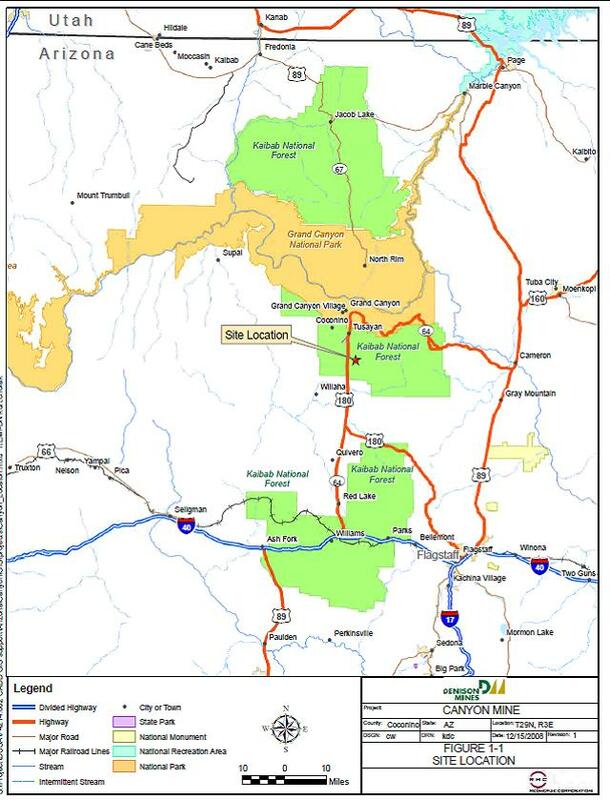 The company proposes trading a variety of conservation lands around the state for forest lands overlying the deposit. 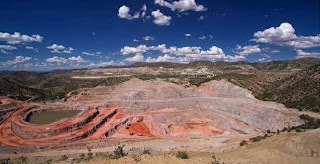 The mine is expected to produce 25% of US copper needs for decades. "In December, the U.S. Bureau of Reclamation was predicting a roughly 11-foot rise in Lake Mead over the next year. Now the bureau expects the nation's largest man-made reservoir to shed about 13 feet by January 2013" for a net forecast drop of 24 feet, according to the Las Vegas Review Journal. That's a reduction of nearly 2.5 million acre feet, due to poor snowpack. 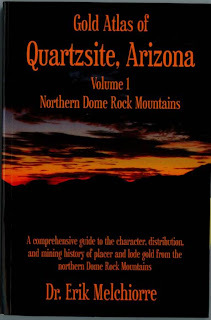 Erik Melchiorre's new book "Gold Atlas of Quartzsite Arizona: Vol. 1, Northern Dome Rock Mountains," has been published. 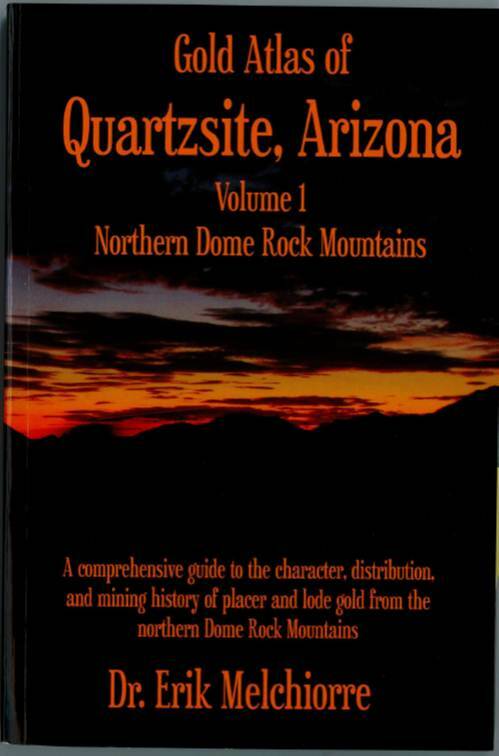 It's described as "a comprehensive guide to the character, distribution, and mining history of placer and lode gold from the northern Dome Rock Mountains." Erik's previous books on Rich Hill and Octave sold well in the ADMMR bookstore in Phoenix. AZGS (and former ADMMR) staff are acknowledged for their technical assistance in this new book. The range is just west of Quartzsite and is known for its Mesozoic basement-involved fold nappes and thrust faults. 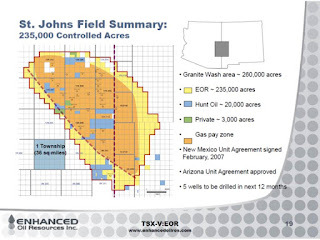 Enhanced Oil Resources says its subsidiary Ridgeway Arizona Oil Corp. completed the sale of its St. Johns helium and CO2 field in eastern Arizona and western New Mexico to Kinder Morgan CO2 Company for $29.7 million. The CO2 is intended to be piped to New Mexico and Texas for use in enhanced oil recovery projects. Helium is in short supply globally and used in a variety of industrial applications. The pace is slowing for new bills filed in the Arizona Legislature. The only one that caught my attention from this past week is Senate Concurrent Resolution 1043 "supporting the Rosemont copper mine in southern Arizona." The resolution applauds the economic benefits of the proposed mine, and its conservation and water use reduction plans. The resolution was introduced by Senators Melvin, Gray, and Griffin and Representatives Gowan and Pratt. The University of Arizona Mineral Museum opened its special exhibit on "100 Years of Arizona’s Best: The Minerals That Made The State" last night with 300 invited guests attending the unveiling and hearing noted mineral expert Les Presmyk speak on the history of mineral collecting in Arizona. AZGS filmed his talk and will be sharing it with the museum and posting it on the Virtual Arizona Experience web site for the March theme of Mining and Mineral Resources. Petrified Forest National Park Superintendent Brad Traver said today that he wished the Holbrook basin potash deposit was 20 miles away rather than much of it being centered under the Park but that given the reality of the situation, the Park will work with the mining companies to make a "win-win" situation. Brad gave the luncheon address at the 5th Annual Little Colorado River Resource Conservation & Development Winter Watershed Conference in Show Low. 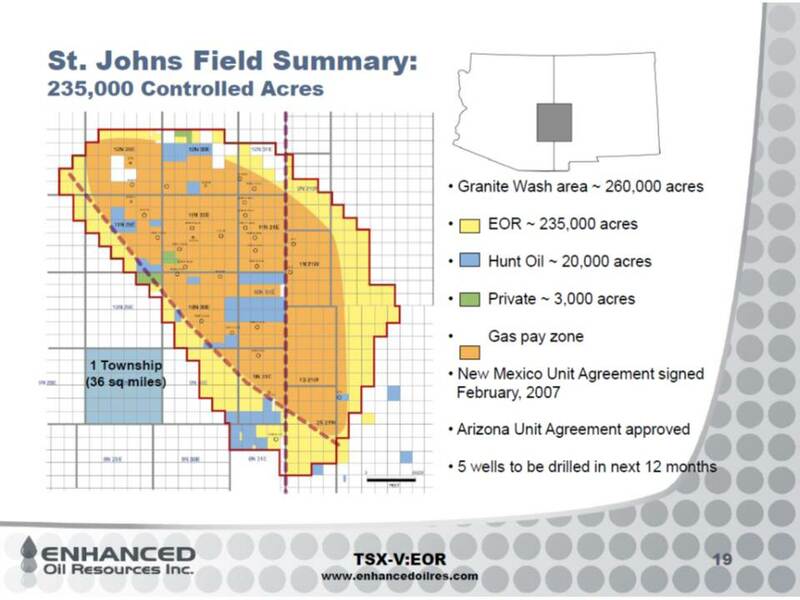 Brad said that American West Potash has made the commitment to put all their surface operations well outside the current Park extended boundary to the southeast. Passport Potash is not far enough along in their planning to know where their operations might be based. Ken Bond of Passport was in the audience and said he was confident that his company can "co-exist with Petrified Forest National Park." No mining can take place under Park lands where the mineral rights are owned by the Park Service, under a 1977 federal law that applies to all parks. Pat Avery, President of American West Potash told the audience on Thursday that they are moving forward with plans for an underground mine generating 2 million tons of finished product per year, with a capital cost of about $1.4 billion. They hope to complete permitting in 1 - 1.5 years, followed by 1 year of construction. The two biggest challenges are permitting and raising the capital for construction. The Denver-based company has 93,000 acres under lease or ownership. He said permits will be filed in Spring 2012, a mine plan completed in the first half of the year, and equipment ordered late in the year. That scale operation could generate $1 billion per year revenue based on $500 per ton sale price for the potash. 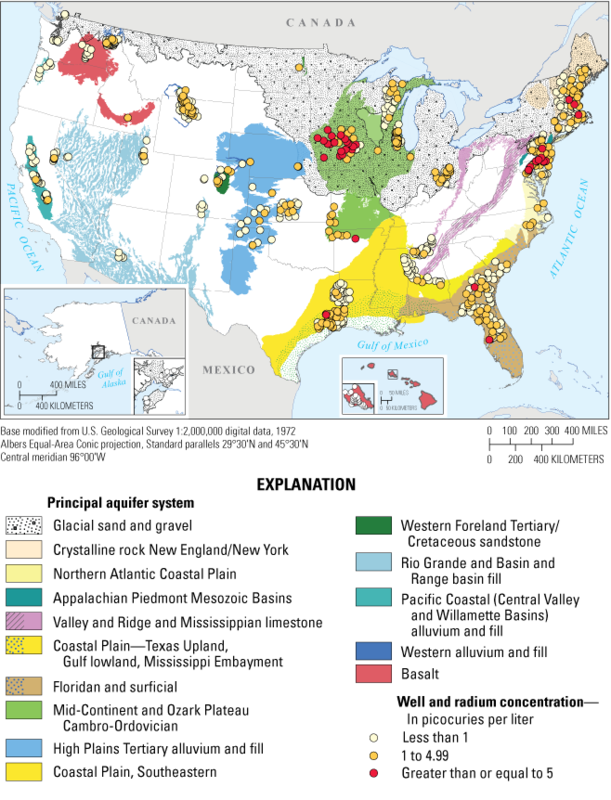 The USGS reported last week that U.S. produced potash was sold for $700 per ton on average in 2011. Given the shallow depth of the potash (averaging 1200 feet), AWP proposes to build an inclined ramp from the surface rather than a vertical shaft. AWP would build a processing plant using a simple flotation process, near the mine mouth to concentrate the mined salts from 8-20% potash to a 60-62% concentrate for sale. The flotation plant would use about 600 ac-ft of water per year of fresh water and 1365 ac-ft of brackish water, and recycle the latter resource. 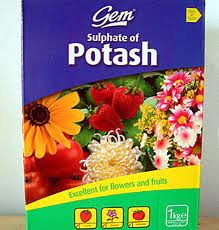 The plants products will be red standard and granular potash. They predict 85% recovery using an underground room and pillar mining process. Significant amounts of salt will produced as a byproduct and will essentially be given away to any takers. Salt stored at the site will be in large piles on double liners to protect against it percolating in the ground. The mine operation should cover no more than about 100 acres, but the area for storage domes for potash and the surface salt piles will eventually cover 300 acres. Pat had to leave after his luncheon presentation to catch a plane for a trip to China to meet with investors there. He called the AWP project the lowest cost capital potash project in the world. My calculation is that $1.4 billion cost with 2 MMt production, results in an average capital cost of $700 per tonne. In contrast, an article on Mineweb.com a couple days ago described the capital cost of development projects in Saskatchewan - "the centre of the potash universe" as $1,081 per tonne. If these numbers hold up, development of Arizona potash would be at a tremendous economic advantage - 30% lower than in Canada - in the competitive global marketplace. The Arizona SciTech Fest officially kicks off with a ribbon cutting ceremony at 11:00 at the Innovations in Bioscience event on Saturday. The Glendale Chocolate Affaire is being held Friday through Sunday and will offer musical performances, horse and carriage rides, chocolate factory tours, festival food, beer, wine and crafts... need we say more? Check out the finest glass artists in the valley at A Glass Perpective on Friday evening from 6-10pm. Stroll down to First Friday and experience where "Science meets The Arts" on Friday evening from 6-10pm. Don't miss out on MCC's Astronomy Night on Friday from 6-10pm. You'll get to see the Planetarium shows and, if the weather permits, the Moon, planets and stars as well! Saturday should be beautiful (71 degrees), so take your family on a walk around the Veterans Oasis Park for the Chandler Family Birdwalks event! White chocolate really isn't chocolate. It's made from cocoa butter, the substance you get by pressing cocoa beans. Cocoa butter is absent of the cocoa solids used to make chocolate. The future looks bright for Arizona’s Aerospace and Defense Industry and the potential for its continued growth is great. Arizona is considered a natural environment for the Aerospace and Defense Industry. It’s a small world: Arizona youth are doing their part to create a 1:100,000 scale replica of the planet earth. The Pinal Partnership was formed to bring together all the people and ideas that will ultimately lead Pinal County to its full potential. TucsonCitizen.com has provided its readers with a helpful guide to Arizona SciTech in Tucson. Tucson Young Professionals (“TYP”) is a group of young business and community leaders who are working together to increase investment in Tucson by showcasing the city as a hub of growth and prosperity. Chocolate has a rich history. Cultures around the world have enjoyed chocolate in its many forms for millennia, but we are giving you 5 fun facts that you may not know about it! This meeting provides an opportunity for volcanologists, land managers, and emergency responders to meet, converse, and begin to plan protocols for any future activity. Geologists can contribute data on recent findings of eruptive ages, eruption probabilities, and hazards extents (plume heights, ash dispersal). Geophysicists can discuss evidence for magma intrusions from seismic, geodetic, and other geophysical techniques. 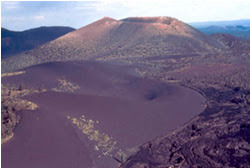 Network operators can publicize their recent work and the relevance of their equipment to volcanic regions. Land managers and emergency responders can share their experiences with emergency planning for earthquakes and volcanic eruptions. Part of the meeting will be dedicated to initial planning for eruption response protocols. The agenda will consist both of invited talks, contributed talks, and dedicated poster sessions. We anticipate a meeting of 50-90 geologists, geophysicists, land managers, and emergency responders. The two-day meeting will be held at the USGS offices in Flagstaff, AZ, followed by a 1-day field trip on Saturday October 20 to the San Francisco Peaks volcanic field. No registration fee will be required; however, meeting participants must cover their own travel and lodging expenses. Abstracts will be due August 1, 2012. Arizona called "a favorable environment for mining..."
NASA calls the new composite view of the Earth the “most amazing high definition image of Earth” ever. It’s part of NASA’s Blue Marble series. 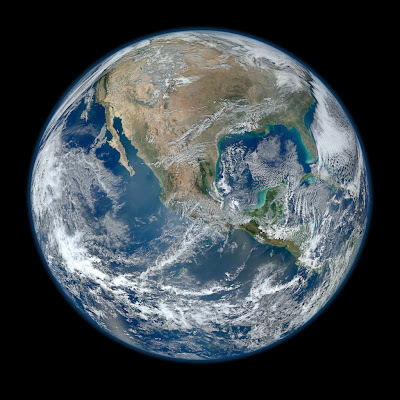 It’s composite image that uses a number of swaths of the Earth’s surface taken on January 4, 2012. A policy alert from AAAS today summarized their three main recommendations: 1) establish a consent‐based approach for future nuclear waste storage and disposal site locations, rather than "trying to force such facilities on unwilling states"; 2) transfer responsibility for the nation's nuclear waste management program to a new organization that is independent of DOE; and 3) create a new mechanism for paying fees into the Nuclear Waste Fund "to ensure they are being set aside and available for use as Congress initially intended." 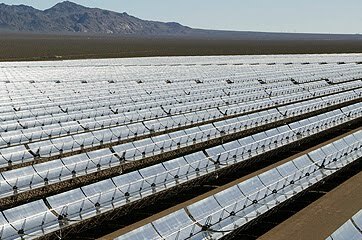 There is an excellent summary of the report on EnergyBiz.com, and some skepticism as to how Congress will deal with it. AAAS also reports that the Commission's Co-chairs, former Congressman Lee Hamilton and Lt. General Brent Scowcroft, USAF (Retired), will testify on the Commission's findings before a Senate Energy and Natural Resources hearing on Feb. 2. Arizona State Senator Al Melvin (R-Marana) is pushing for Arizona to be a 'willing state' to accept nuclear waste and to host a recycling facility as well. His plan is to place the waste in underground man-made salt caverns.